If you take a look at the wisteria on display for sale in any garden center you will see that the selected cultivars being offered are actually grafted at the base to a suitable rootstock - usually Wisteria sinensis. 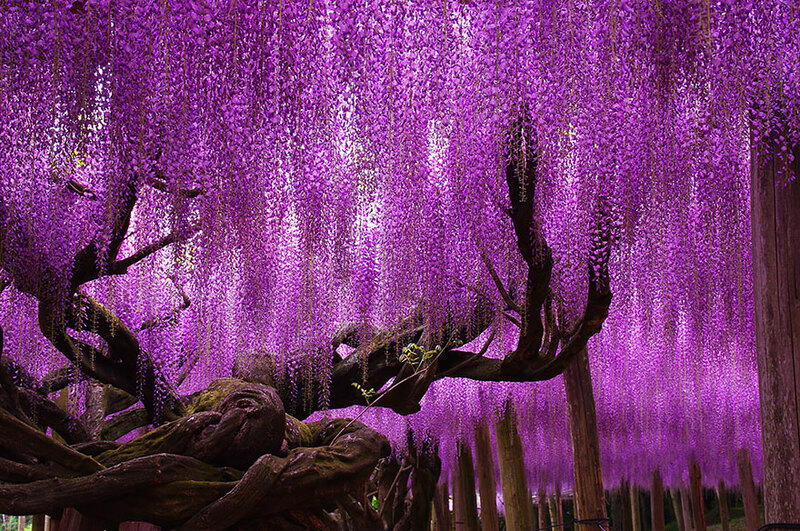 While grafting wisteria may be the preferred method of propagation for the commercial growers, wisteria can also be propagated by seed, cuttings, and even layering in the case of Wisteria sinensis. Using a sharp, sterilized blade, take 3-6 inch heel or node cuttings from the base of current season's wood in August. Each cutting should have at least two sets of leaves. Remove all flower buds and any leaves from the lower half of the cutting, then dip the rooting end of the cutting into rooting hormone powder. Using a dibber, insert the cuttings into a sandy peat mix or a good quality seed compost, either in a large propagating frame, a mist propagator, or a large heated propagator. All of which will need to be in a bright position, but one which is protected from direct sunlight. Ideally, provide a basal heat of between 16-18 degrees Celsius. Maintain high humidity and check the compost regularly, watering when the surface is dry to the touch. The cuttings should be rooted in approximately four to six weeks. Once rooted, carefully lift the wisteria cuttings for potting into 5-6 inch pots filled with a good quality compost such as John Innes 'No 2'. 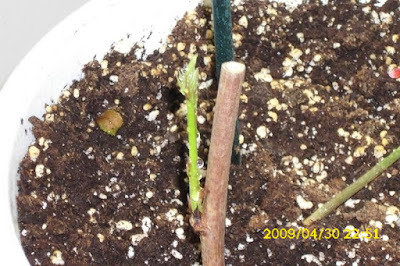 Without damaging the roots, add a supporting cane and place them back into their frame. Once established they can be hardened off before plunging outside until they are ready to be planted into their final position.